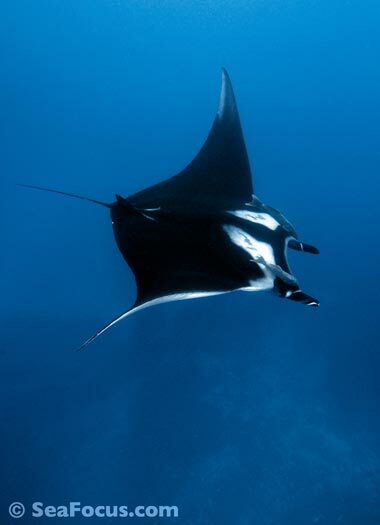 Mantas can weigh as much 1300 kg and be as wide as 6.5 meters from wing tip to wing tip. 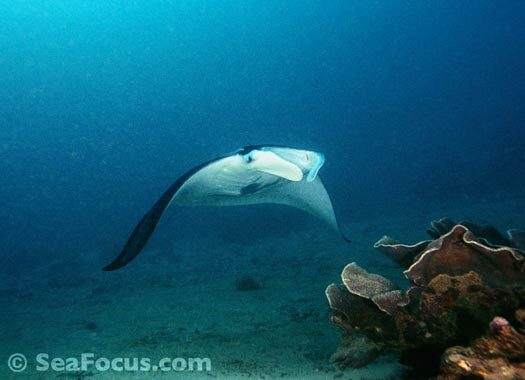 Their wings are actually pectoral fins. 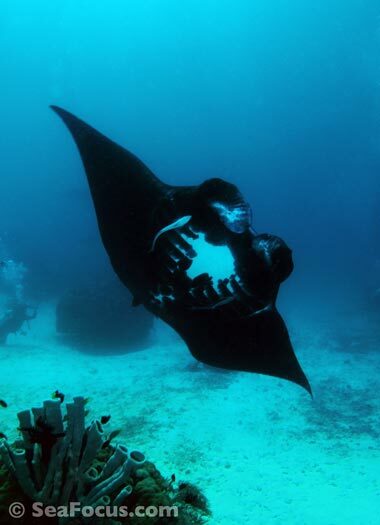 While most are black on top and white on the tummy, you will see all black animals at times. 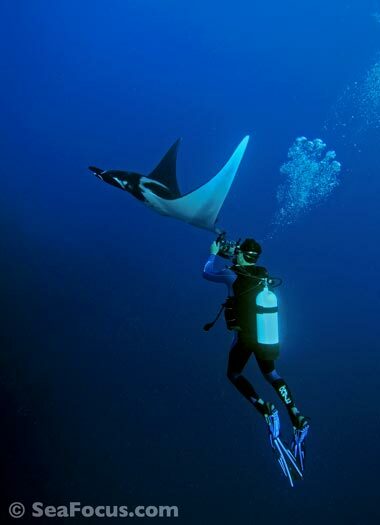 One of the seas most graceful pelagics, the manta ray is the largest of all the ray species and one of the biggest creatures in the sea. 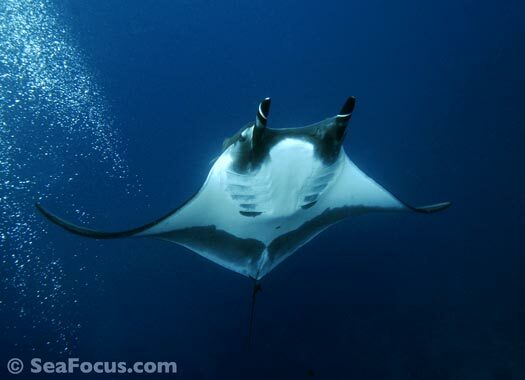 Mantas are found throughout the tropics and in temperate waters on or near coral reefs. 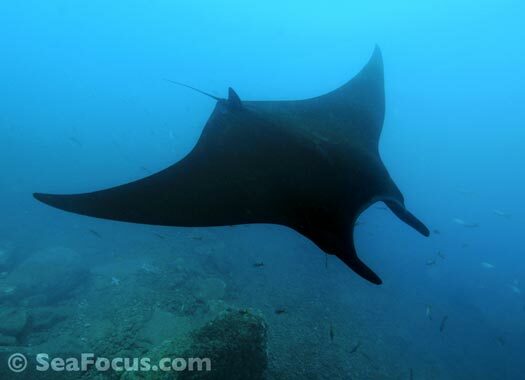 They are principally plankton feeders and usually inhabit areas where there is a good flow of plankton rich waters. 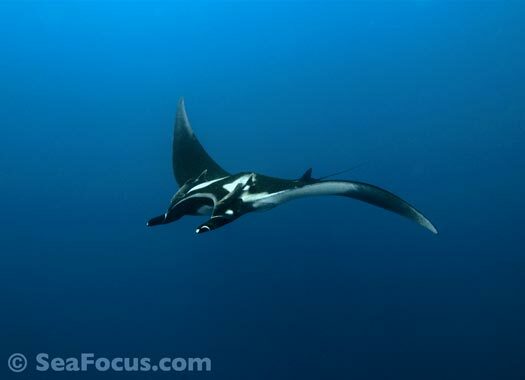 There is some confusion as to how many species of manta there are. 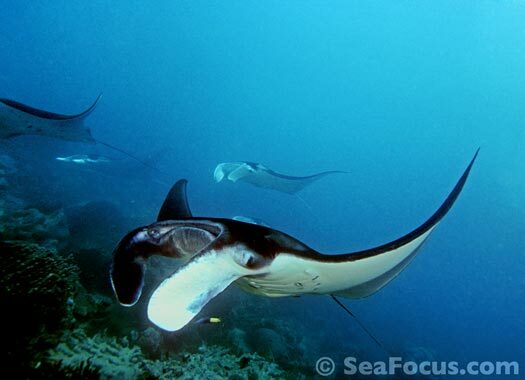 At one point it was thought there were four, but currently, this assessment has dropped to three (Manta birostris, Manta ehrenbergii and Manta raya) but as these are so similar, it as been suggested that they are all a single species with localised variations. 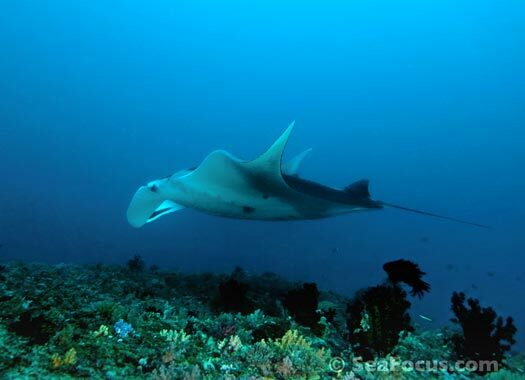 Another member of the group are mobula rays, a smaller animal that looks much the same but mobulas are nearly always seen in groups and are less patterned with just a dark collar behind their mouths and a brown tinge to their skin. 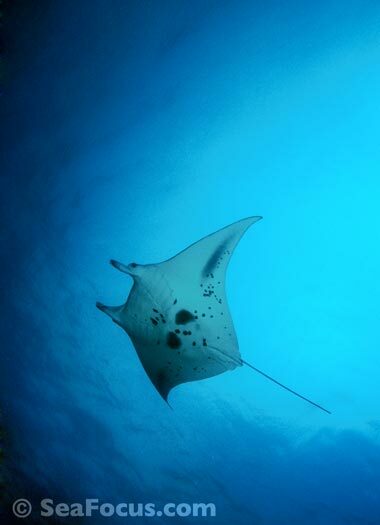 The markings on their stomachs – blotches, dashes and streaks – are unique to each animal and can be used to identify them. 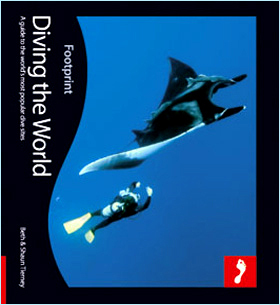 Manta rays are on the IUCN Red List of threatened species. 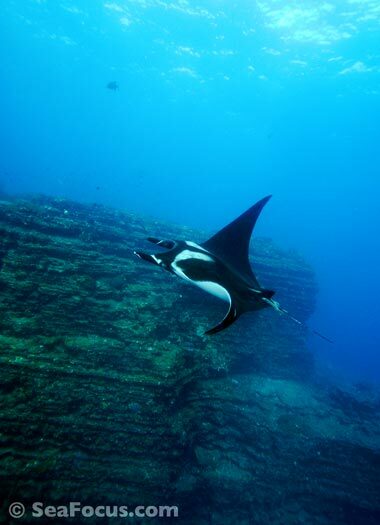 We swam anticlockwise around a pinnacle of rock. The sheer walls looked like they were made of millions of thin layers, almost like a stack of paper. 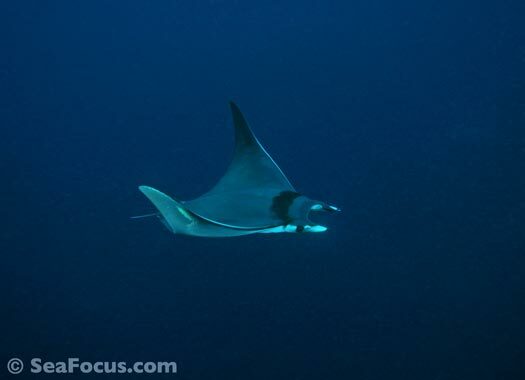 There were whitetip sharks below us and a lot of Clarion angelfish, which are indigenous to the area hovering above. 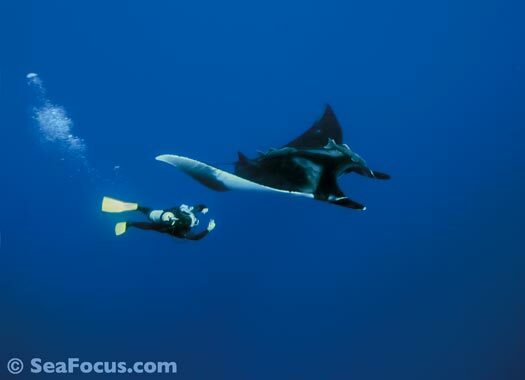 We went around a bend and up over a plateau and came face to face with this enormous manta ray. 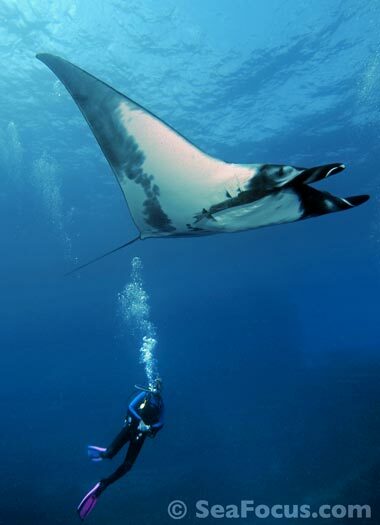 She remained hanging about, flapping slowly to and fro between divers. 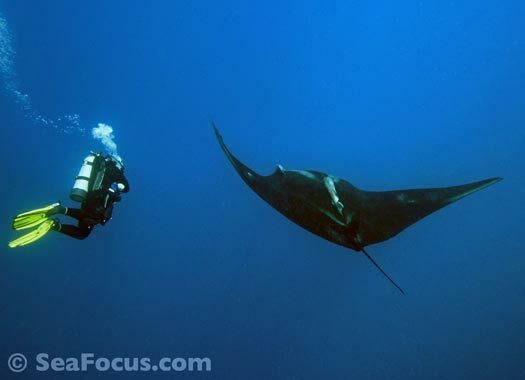 She was incredibly interested in being interactive, approaching certain divers and hovering beside them to make eye contact.